Chocolate Chips vacuumed sealed in jar and bars that will be stored in freezer. I like chocolate and would like to keep a bit around for an occasional treat for the family and myself. I have found quite a bit of controversy on the subject of storing chocolate. Everybody seems to agree to the following. Chocolate should be stored in a slightly cool, dry, dark place. The perfect temperature is 60-70 degrees Fahrenheit, with low humidity (less than 50 percent), and stored away from any other foods or substances with strong odors that could be absorbed by the chocolate. Frequent exposure to high temperatures can cause the cocoa butter in chocolate to bloom or rise to the surface. Bloom is an unpleasant cloudy gray color. Bloom does not seem to have a major effect on the taste and will normally disappear if the chocolate is melted. However, white chocolate can go rancid when exposed to strong light, or heat. The shelf life of most milk chocolate is one year; for most dark chocolate, it’s two years. Here is what Hershey’s has to say about how to store chocolate. A. Solid chocolate products will maintain their quality if well wrapped and stored in a cool, dry place (55-60°F). While refrigerated chocolate is certainly safe to use, we don’t recommend it. Chocolate kept in the refrigerator may “sweat” when brought to room temperature and may not melt properly. Cocoa is considered a non-perishable item which should maintain quality if stored at room temperature in a tightly sealed container. Even if the taste or texture changes some, it could be used for baking. A. Most confectionery products are at their best flavor for one year after manufacture. Ingredients such as nuts will shorten the shelf life. Products kept beyond recommended “best before” date may have flavor loss or texture changes. Keep in mind, however, that storage conditions greatly affect the quality of our products. Q.My chocolate sometimes turns tan or white. What causes this? Now comes the controversial part. How you can extend the shelf live by, vacuum sealing, refrigeration or freezing. I have found several references to vacuum sealing chocolate but no definitive tests. In several blogs, there are anecdotal stories of people sealing chocolate chips in mason jars with a food saver for long periods of time. My wife currently has several jars of chocolate chips sealed in this manner. They are now several months old and seem to be holding up well. She is keeping track of the dates so that we can provide you with the information on when they start to deteriorate. Freezing and refrigeration is another controversial area. Hershey advises against it, others say it can be done. The best advice seems to be, to freeze or refrigerate the chocolate in an airtight container, and do not remove it from its container until it has been slowly brought up to room temperature, to prevent condensation from forming on the chocolate. We are experimenting with freezing and vacuum sealing chocolate and will let you know the results. 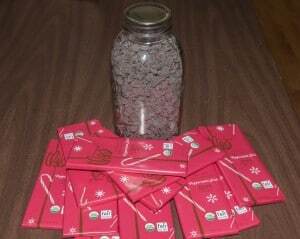 This entry was posted in food storage and tagged chocolate, Howard. Bookmark the permalink. I still have some premium homemade fudge in the freezer that was given to me last Christmas…. It is still premium….Also, I keep Hersey’s dark chocolate in the freezer and I don’t find any loss of quality after some months. I take it out and shatter it on the counter before opening it… I like it just out of the freezer. Why bother with a 1 year feel good ordeal? Money can be better spent elsewhere IMO. The day after a storm chocolate can still be had but batteries are gone. There is a guy who has LTS canned his and didnt have great results after several years of storage, i’ll see if I can find his posted results and pictures. Look at LTS items like coco powder and honey etc and play with some ranger pudding style mixes for the fix. Chocolate has always been my favorite energy giving food. I always pop it into my mouth, whenever I’m down. It gives me instant energy. 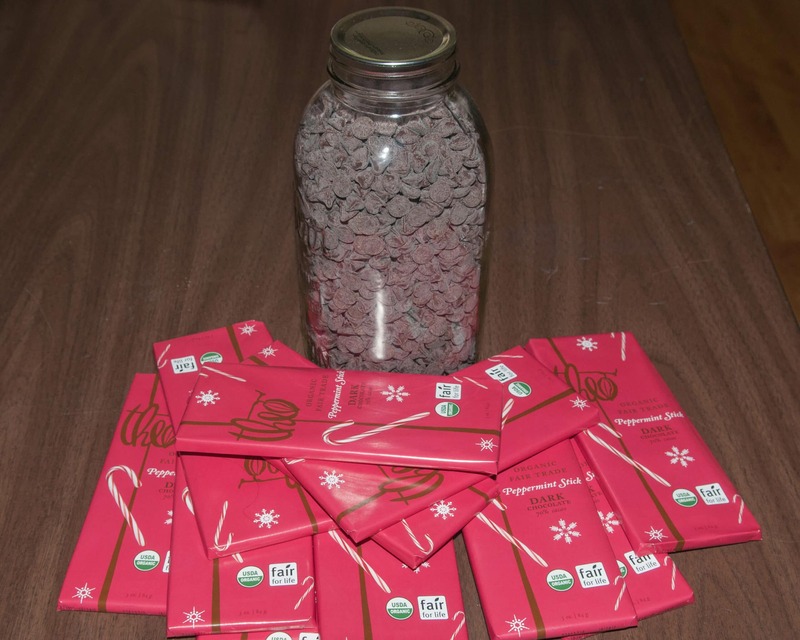 Interested in knowing if chocolate wafers can be stored in sealed food saver plastic bags. Hello, I’m very interested in knowing the end result of FoodSaver storage. Has anyone tried removing all the air from the chocolate and storing it for a year or two or more? We’ve been using a Food Saver to store chocolate, nuts, pancake mix, etc. with very good results. Nuts, in particular, actually taste fresher than when we put them in the jar and sealed it. That’s probably because there is no moisture in the jar to cause the nuts to soften and without oxygen, the oil in the nuts doesn’t become rancid. We’ve stored chocolate chips this way and they were fresh after more than a year — I don’t think we ever stored them longer than that. I also foodsave my chocolate candies because of access to a Russel Stover outlet. I freeze the pecan caramel clusters and have not had a problem. Although they are eaten within 6 months time. Having been able to keep them around any longer.